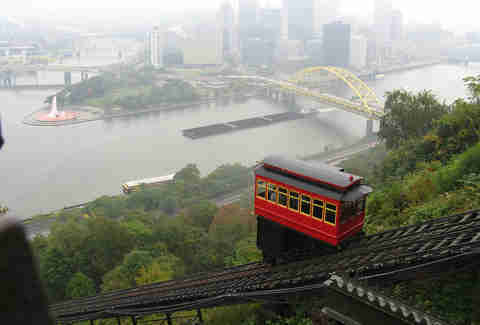 While it may not be the most popular vacation destination, Pittsburgh draws a diverse crowd of visitors year-round. 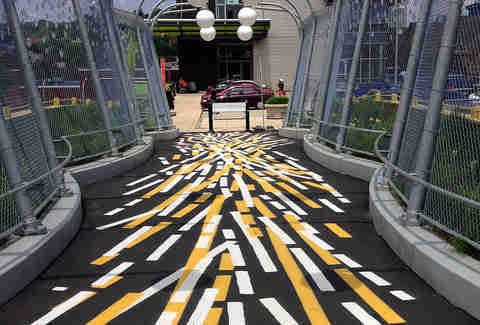 Whether they’re coming for the beautiful views, the intense Steelers games, or to visit a terrified kid who just started their freshman year at Pitt, out-of-towners will need some ground rules for surviving and enjoying Pittsburgh. Read on for the appropriate pointers on how visitors can take it all in while not existing solely on pierogies. 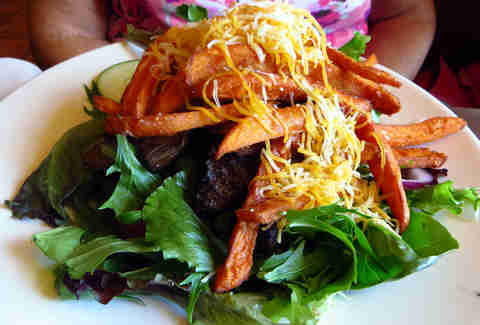 Don’t be surprised if that salad you order is hidden beneath a mountain of meat, cheese, and French fries. And most likely a generous dollop of ranch. Don’t bother trying to find a Safeway or Albertsons here. We do, however, have Shop N’ Save, Kuhn’s, and about 10,000 incarnations of Giant Eagle. Which, surprisingly enough, do not house giant statues of eagles (surely a missed marketing opportunity). Pittsburghese: a language established by our Yinzer population that includes words like “Yinz” (y’all), “wursh” (wash), and “dahntahn” (Downtown). Don’t let it rub off on you. Except for a small club scene on Liberty, Downtown is dead after 6pm. No one spends their time Downtown unless there’s a parade, they’re going to their office job, or they’ve made the very poor decision to live in one of the area's grossly overpriced lofts. That’s right, except for some a'those nice Gynt Iggles stores. Better find your local distributor and get there before 10pm if you want any beer for the night. “Oh, this is nice. A beautiful view of the Pittsburgh skyline as I travel to the top of Mount Washington to gaze upon the great city of Pittsburgh.” But what’s that horrifying sound, you ask? That’s just what a 140-year-old wooden box traveling up a steel cable sounds like. Don’t worry, you’re not going to die. Everyone here knows each other. Even if you’re not from here, you’ll eventually date that one guy's cousin. That's what you get with only 300k people that have been here since the steel industry was booming. And they usually pretend oncoming traffic doesn’t exist. So if you’re driving anywhere that has sidewalks, remember that most locals have death wishes and drive accordingly. More popularly referred to as Bloomfield, this neighborhood’s Italian roots are long gone. But you’ll definitely stumble across some rad Thai food. Don’t be surprised if you hear someone complaining about how their two-bedroom apartment just increased from $550 to $600 a month. Most of us don’t know how lucky we really are. If you ever find yourself in a public place seeming the least bit lost, there’s a good chance a car will pull up and inquire “Jitney?” Chances are, nothing bad will happen if you get in, but use caution. And always ask for a price up front. And even if it were, taxis are a nightmare in Pittsburgh, best to stick to your rideshare apps. 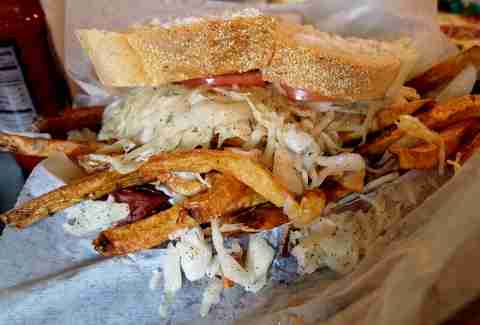 Home of the huge slaw-and-French fry-filled sandwich. Every tourist makes a beeline for this Pittsburgh institution. 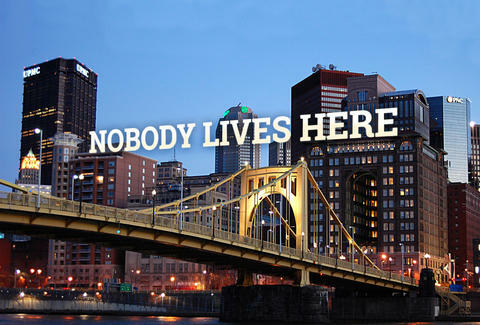 But do yourself a favor, split one with a pal and then go to one of the hundreds of amazing restaurants in the ‘Burgh. Who wants to be constipated for the entirety of their vacation? Although we have an increasing population of amazing curbside cuisine, don’t expect to find these trucks roaming the streets. Pittsburgh’s food-truck laws keep them from parking anywhere without a lot of fuss. Stick to Twitter if you want to have any shot at finding the schedule for hidden gems like PGH Taco Truck and Lomito. 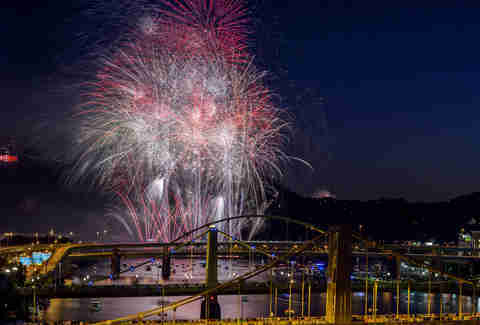 On top of having amazing firework displays on the Fourth of July, Pittsburgh also feels the need to have small bursts of fireworks throughout the year for seemingly no good reason. It’s something you’ll come to love.